The flavor of the noble past and unique charm are immanent to the Mežotne castle, which was renovated with the precise observance of its initial style and history. Mežotne castle history is closely linked to the one of the Russian Royal court. 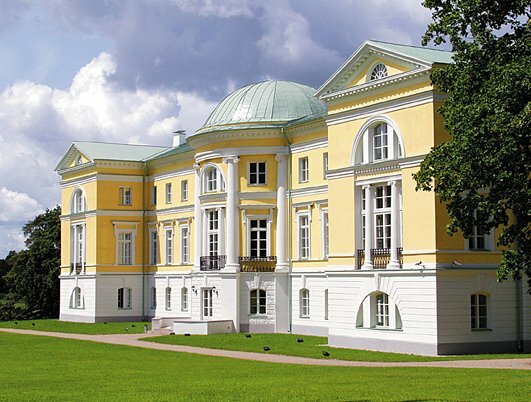 In 1795 the Russian Empress Catherine II gave Mežotne manor for ever in favor of Charlotte Fon Liven, the tutor of her grandchildren. In 1797 Emperor Pavil I made Mežotne manor a family estate, and two years later, according to his order, Charlotte Fon Liven obtained the title of countess. In 1826 emperor Nickolaj I nominated her to the rank of prince. After the death of Charlotte Fon Liven the castle was inherited by her descendants, belonging their family property up till 1939. The flavor of the noble past and unique charm are immanent to the Mežotne castle, which was renovated with the precise observance of its initial style and history. The castle, featuring seven splendid ballrooms and a 3-star hotel, is surrounded with a large baronial park with sheep grazing, adding a touch of a calm pastoral landscape.